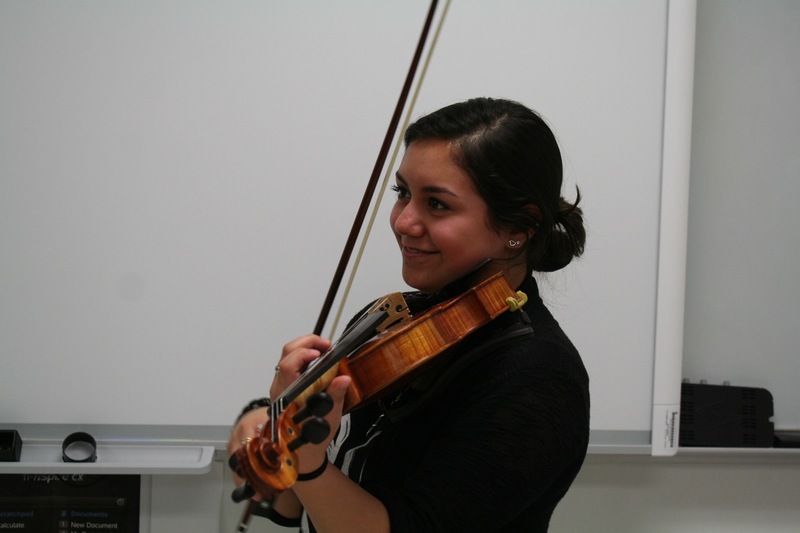 Kayla De Jesus is a sophomore and fourth chair for violin in orchestra. 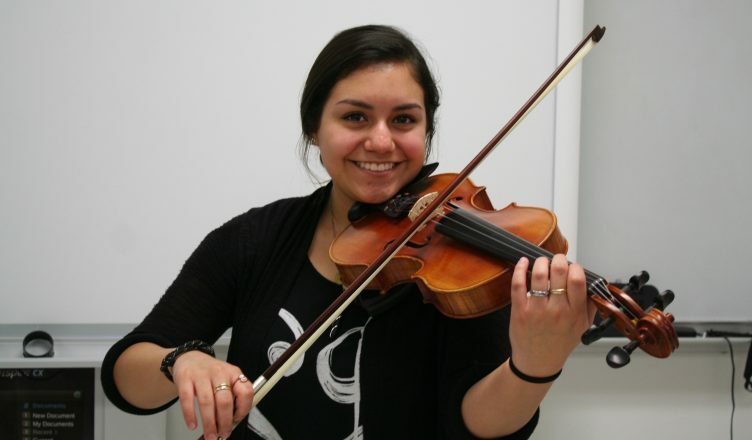 Q: When did you start playing violin? A: Fifth-grade, they came and introduced us to instruments, at first I wanted to be a veterinarian but I saw the violin and was like ‘I’ll play’. Q: What inspires you to play? A: Nothing inspires me, I just love music. Q: How does it feel when you’re playing? A: I feel like I’m in another world. I feel connected. A: I want to be a performer and be on stage. Right now, I want to go to UNT for it’s music program. Q: Where do you see yourself senior year? A: Stefan Jackiw. He’s a violin soloist. Q: What’s a song stuck in your head? A: This song called, “Say You Won’t Let Go”. I don’t know who it’s by. A: I’m not a picky eater, so I like everything. A: “Hugo”. It’s about a boy in Paris, he’s stuck in a train station. I like the soundtrack to it. Q: Do you like coming to school? A: Yeah, I get to see friends. Q: What movie do you want to see that’s out or coming out? Q: What’s your zodiac sign?